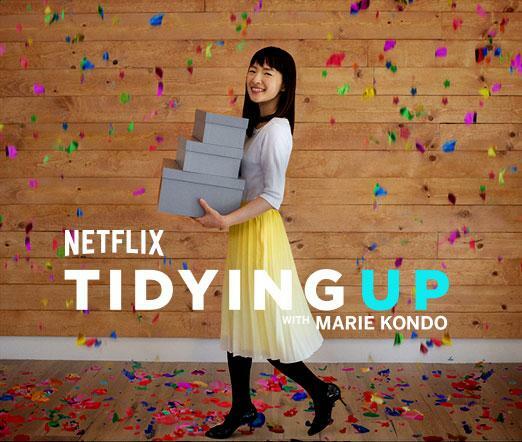 Tidying up with Marie Kondo is more than a Netflix reality television series about an organizing consultant who helps people de-clutter their homes. It’s a cultural phenomenon. Since Netflix aired eight episodes January 1, Tidying up with Marie Kondo has sparked a discussion about Japanese culture, the role of books in our lives, our societal pursuit of happiness, and materialism, among other topics. The show also demonstrates a major advantage Netflix wields against Amazon Video and Hulu: cultural relevance. Tidying up with Marie Kondo is one of many examples of how Netflix seeps into our everyday culture by creating relevant content and even shaping our behavior. Netflix is not the only streaming service to create content that taps into the cultural zeitgeist – Hulu does so in spades with The Handmaid’s Tale. But Netflix creates cultural relevance more consistently and in more ways. According to the Prophet Brand Relevance Index, Netflix is the fourth-most relevant brand in the United States, behind Pinterest, Amazon, and Apple and ahead of companies such as Google and Nike. Amazon ranks ahead of Netflix not because of its streaming service but because of its ecommerce leadership – an important distinction. Amazon Video creates original content as a means to an end – to gain more Prime members for Amazon. Netflix lives and dies by the strength of its content. And the difference shows. 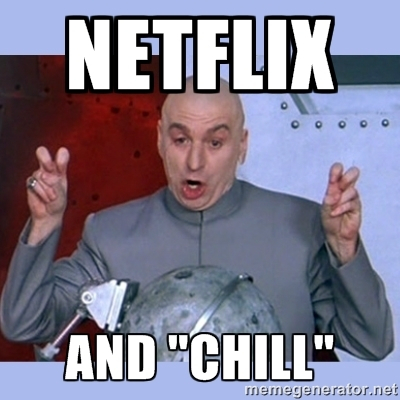 “Netflix and chill” is not the only example of Netflix-related phrases that have worked their way into our vocabulary. For instance, “Netflix cheating” is the act of watching episodes of a Netflix series ahead of your partner. Netflexting occurs when two people watch a Netflix show in different locations and text each other at the same time. Netflix block happens when you scroll through your Netflix queue and cannot settle on something to watch. Here are more phrases that demonstrate Netflix achieving cultural relevance through our vocabulary. Netflix is capable of creating a cultural phenomenon, as seen with Tidying up with Marie Kondo and Dear White People, the latter of which has attained relevance through the ongoing societal conversation about race and white privilege. Perhaps the best example of the Netflix effect is the popularity of Strangers Things, which has become a catalyst for 1980s nostalgia, an inspiration for cosplayers, and a musical tastemaker (to the regret of “Africa” haters everywhere). In fact, it’s a global phenomenon. Creating content from another medium that has already attracted an audience (Tidying up with Marie Kondo was already a well-known book, and Dear White People was a notable movie first). Releasing content that becomes so popular that its success transcends its original medium, which is what happened with Stranger Things. In fact, most of Netflix’s original content does not enter the cultural mainstream the way Stranger Things has done. But Netflix hits the mark more than anyone else. Netflix is actually changing our behavior. When Netflix began dropping all episodes of its new TV shows simultaneously, we responded by changing how we watch TV. Thanks to Netflix, we consume show after show for hours at a time. We now watch what we want when we want it, instead of a network making us wait for a weekly broadcast. The phrase “binge-watch” became the Collins English Dictionary word of the year in 2015. Four years later, we’re still talking about binge watching. Mashable devotes a section of its news content to binge watching. And you can get paid to binge watch. Binge watching is bigger than ever. Netflix is also culturally relevant to the workplace. Netflix is well known among management consultants and the HR community for the way the company operates. Netflix is known for its “highly aligned, loosely coupled” approach of setting a clear strategy but empowering work teams to act autonomously. We now have PhD-level management consultants extolling the “7 Aspects of Netflix’s Company Culture That You’ll Want to Copy.” Its 2009 Culture Deck is called “the BIG DADDY of culture decks.” Its technology blog is also popular among product developers and engineers throughout the workplace. Amazon is also closely followed for its management practices – but here again, I’m focusing on the streaming business, where Amazon Video doesn’t create the kind of conversation for its business practices that Netflix does. But cultural relevance is fleeting. You can’t manufacture cultural relevance on demand although you can improve your odds by adapting already-popular content that has been tested in another medium, as with Tidying up with Marie Kondo and Dear White People. So far, Netflix sets the pace. But it will be interesting to see what happens when Disney launches Disney+. Disney wrote the book on cultural relevance and is well positioned to challenge Netflix with its Disney, Marvel, Pixar, and Star Wars brands (Star Wars created the template for phenomenon such as Stranger Things). The key will be how well Disney draws upon these popular names to create new content, which it plans to do with shows such as original episodes coming from Marvel. Disney+ will be an extremely costly venture. But Disney has very deep pockets, while Netflix is under constant pressure from investors for its spending. 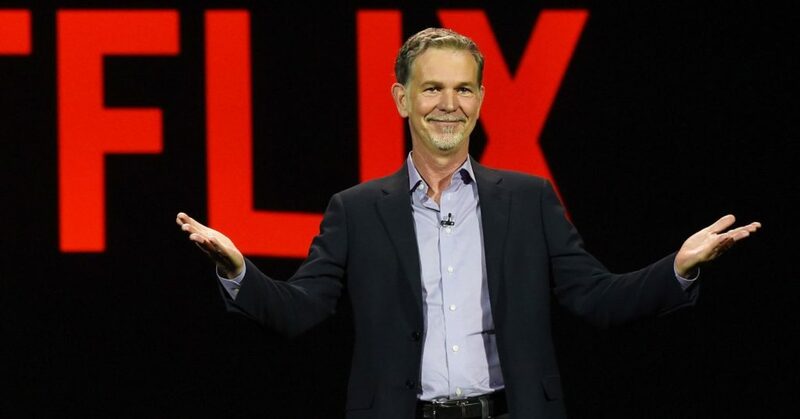 Netflix CEO Reed Hastings has his work cut out for him. But I think he’s up for the challenge. And he’s operating with a big head start and an ability to do things that no one else sees coming, such as introducing binge watching. The next frontier for Netflix will be to create cultural relevance in international markets such as India, which is proving to be an enormously difficult task. In India, Netflix also has its hands full with local competitors such as Hotstar. Because of its cash burn rate, Netflix is under more pressure to ramp up faster in markets such as India. The race is on – and the next several months will prove to be exciting. This entry was posted in Entertainment and tagged Amazon Video, David Deal, Dear White People, Hulu, Netflix, Reed Hastings, Superhype, Tidying up with Marie Kondo. Bookmark the permalink.